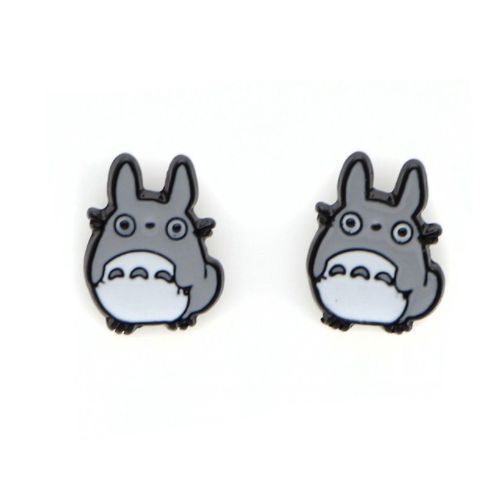 Say ‘Hello’ to these super cool Totoro earrings from one of Studio Ghiblis’ best animations. These grey coloured Totoro earrings (as shown in picture) are made from metal and enamel with stud finish at the back. Be the coolest around as you wear these awesome totoro earrings and show your love for one of Ghiblis favorite characters!